Everyone loves Tokyo’s fast moving fashion trends, so we do our best to let you know when we spot a hot one. 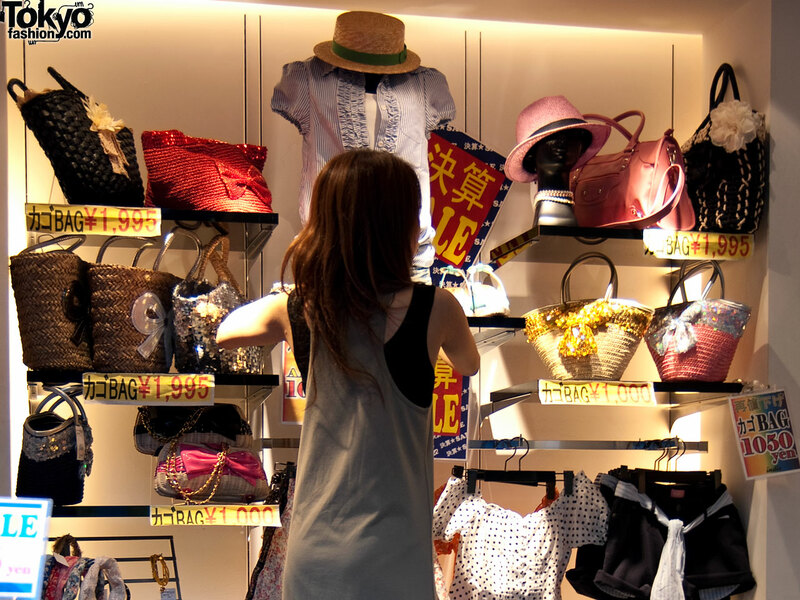 This time, we’re going to take a look at a major purse/bag trend that started in the spring of 2010, but has reached full-burn with the arrival of the hot Tokyo summer. 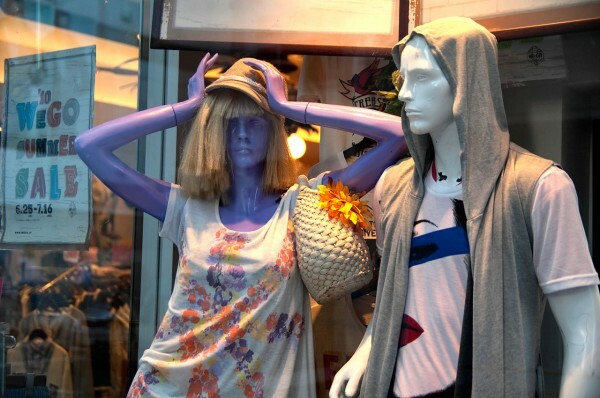 The trend item? 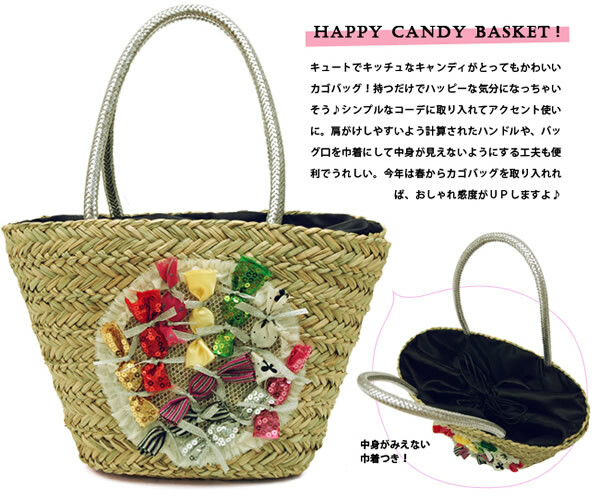 Straw handbags (“kagobagu” in Japanese)! 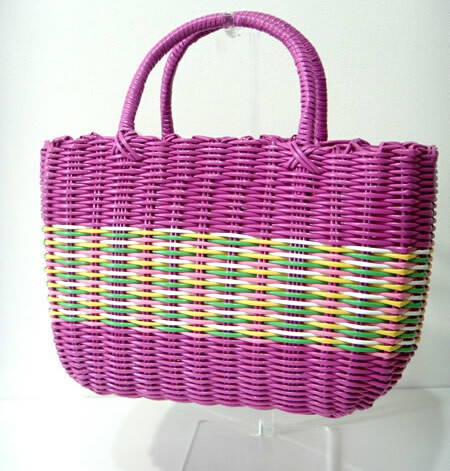 Straw handbags aren’t a new item. They make an appearance to some degree every summer, but this year they are everywhere and being carried by everyone in Tokyo. 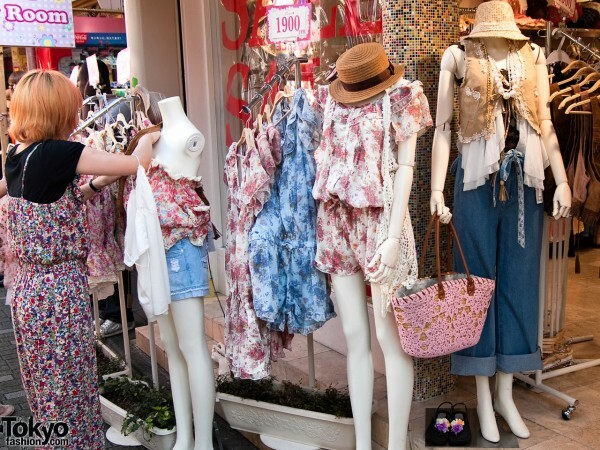 From Omotesando to Shibuya’s Gyaru to cute Harajuku Girls to older women and younger teens, everyone seems to love their straw bags this summer. 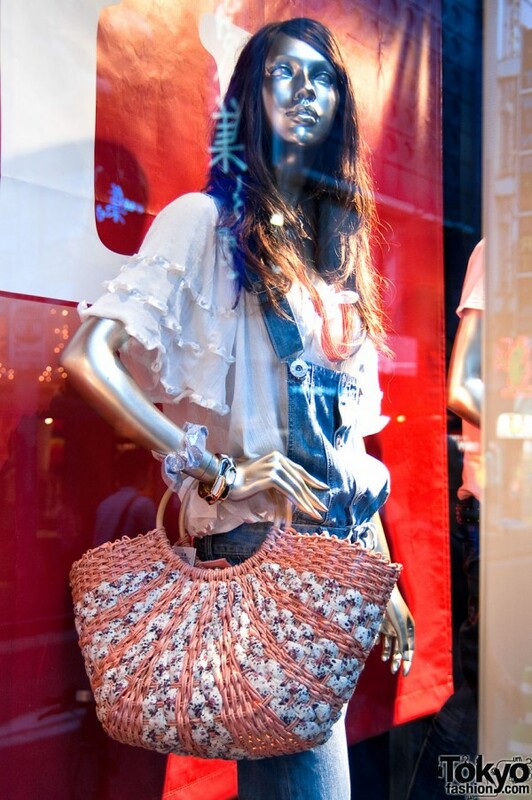 Just about the only people not carrying straw bags right now are Japanese guys, and that could change any moment! 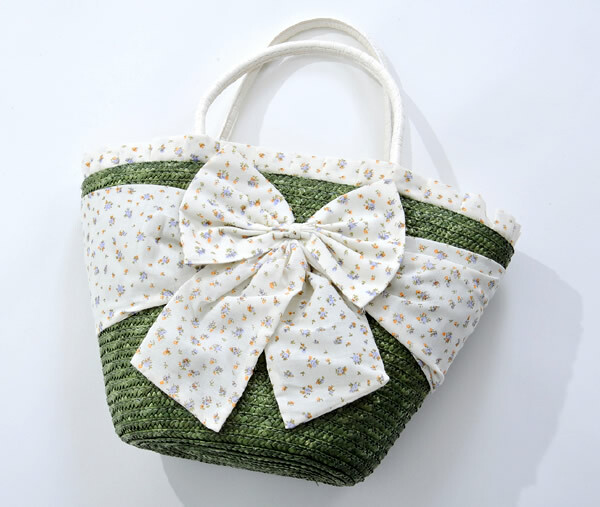 This summer’s straw bag could be linked with the straw boater hat trend that we reported on in the spring, and many of the bags also match nicely with all of the floral patterned dresses and floral rompers that are all over the streets of Tokyo right now. 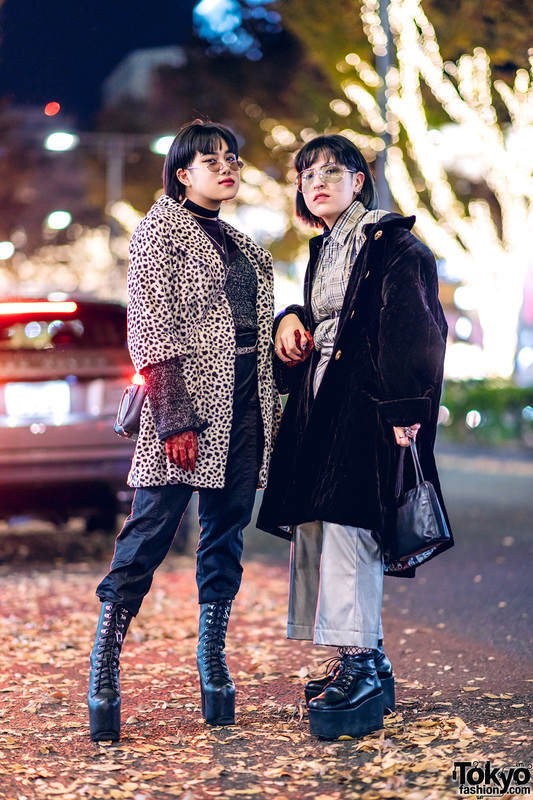 To show you a few of the bags actually being carried on the streets of Tokyo, we grabbed our cameras and headed for Harajuku. 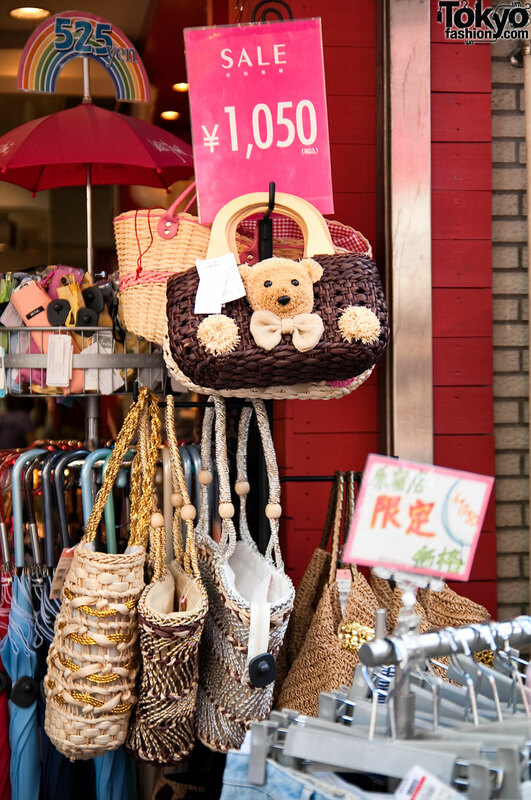 These pictures are just a tiny sample of the hundreds of straw-bag-carrying girls we see pass by every hour on popular shopping streets like Takeshita Dori, Cat Street, and Omotesando Dori. 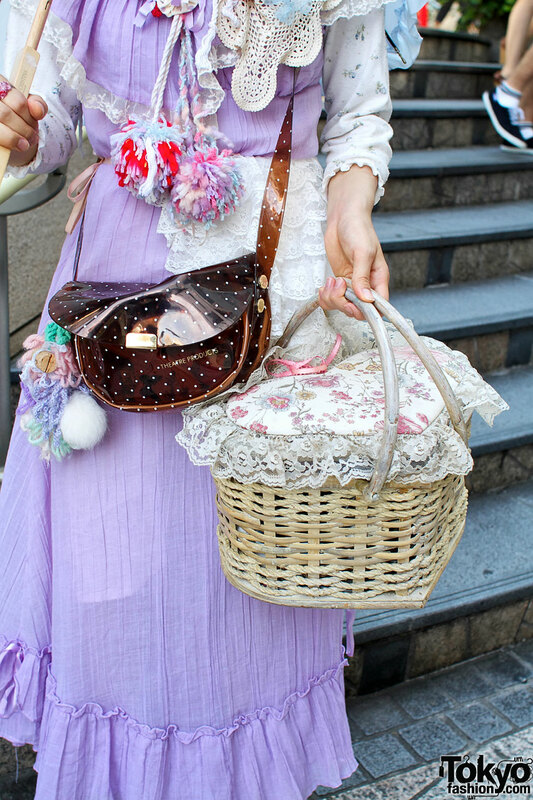 Many of the straw bags we’re seeing this year in Tokyo are not your typical “picnic basket” or “beach bag” type. 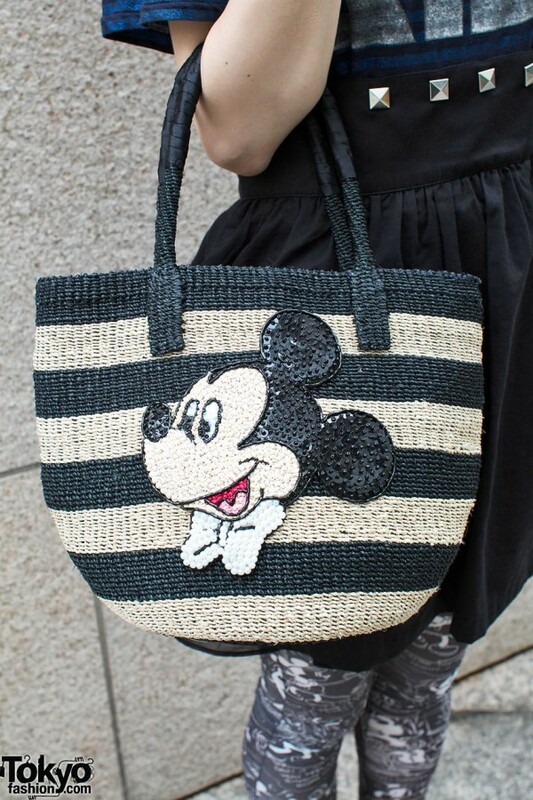 Instead, the bags often feature lots of bright colors, embroidery, decorations, dangling charms, and, of course, cute characters. 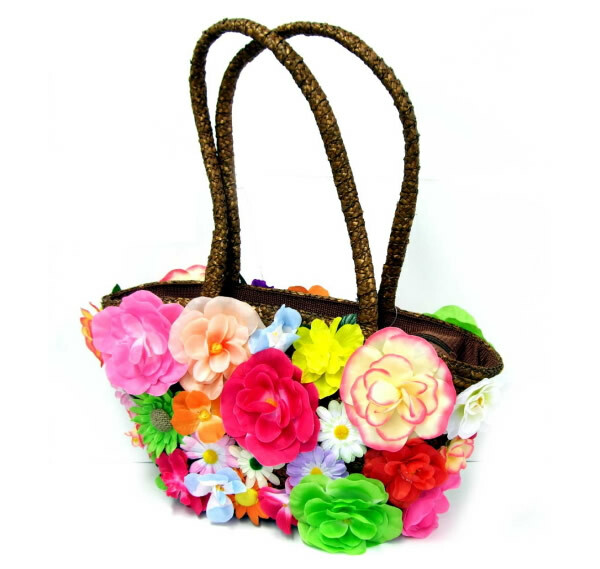 In fact, in some cases the straw is hidden under so many flowers, bows, and decorations you can’t really tell right away that they are straw/wicker bags at all. 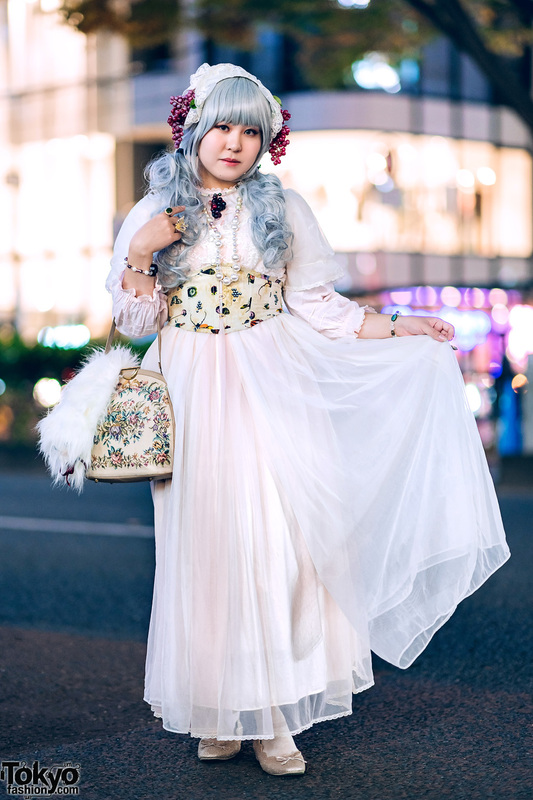 But, if you look around at the shops in Shibuya and Harajuku, these bags are being advertised as “kagobagu” (literally “box bag”), no matter how crazy their decora. Besides the above street snaps and bag pictures, we also went out to Harajuku and Shibuya and took a walk down Takeshita Dori, Cat Street, Meiji Dori, Center Gai, and Spain Zaka so that we could show you pictures of straw bags that some of the shops are actually stocking. You can also get an idea of prices from some of these pictures. 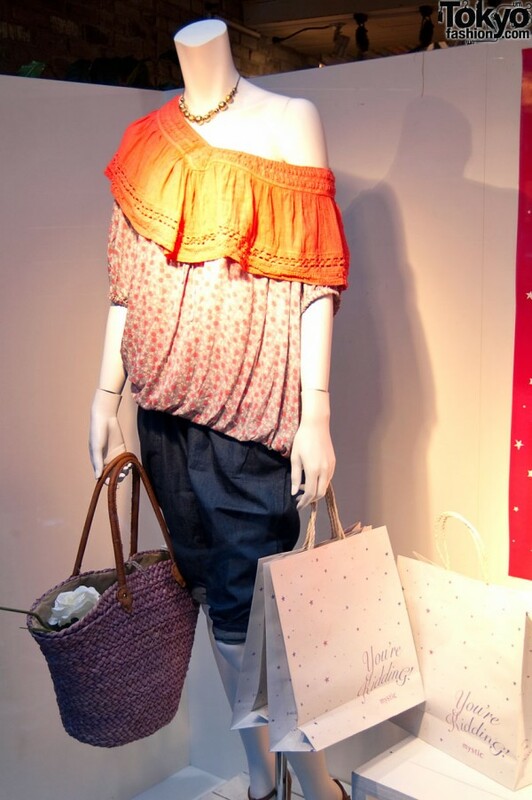 For the most part, like the boater hats that we reported on previously, straw bags are not an expensive trend. 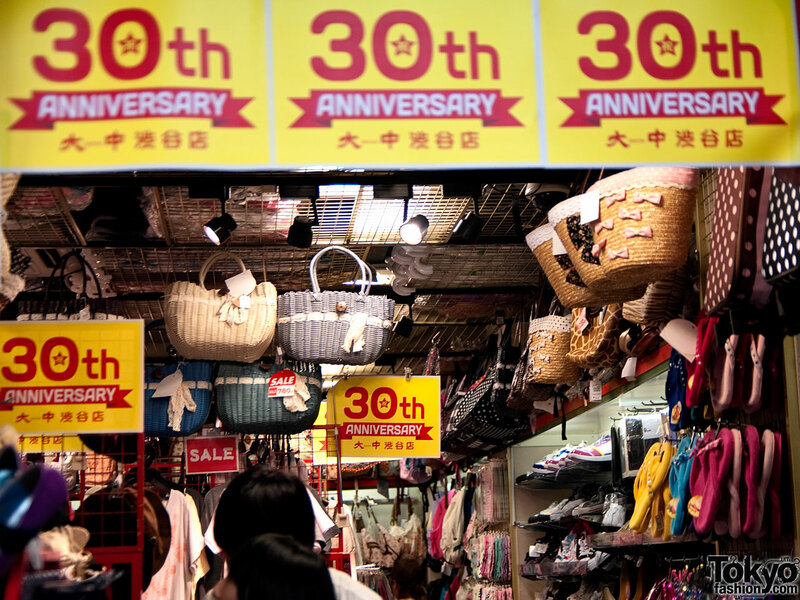 You can walk away with many of these bags for under US$20. 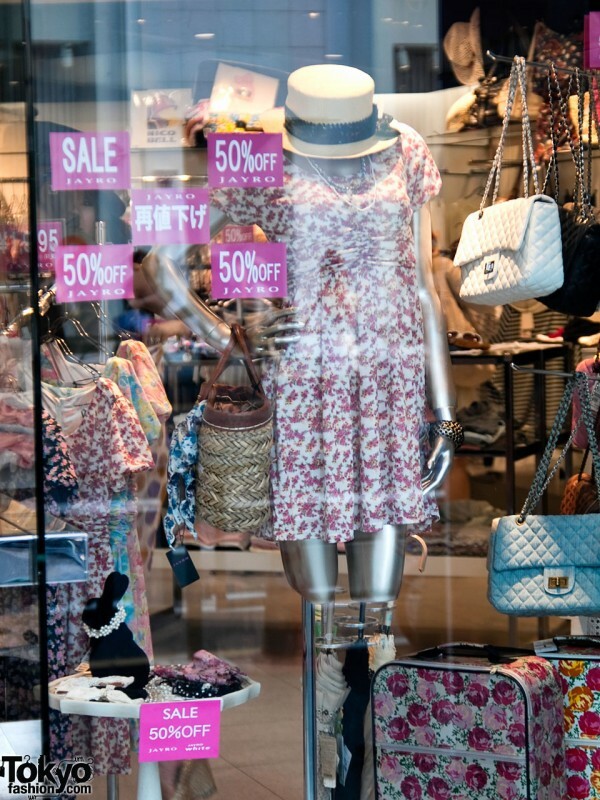 With that low of a price point, and with all of the different colors and designs, it means that this trend spread very quickly to girls of all different fashion tastes, ages, and income levels. 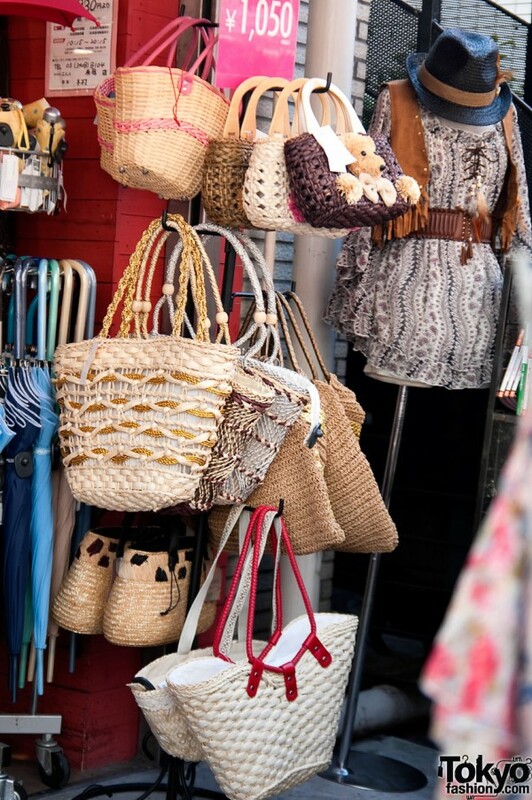 Many of the pictures above can be clicked on if you want to see high resolution images of the bags, girls, and shops. 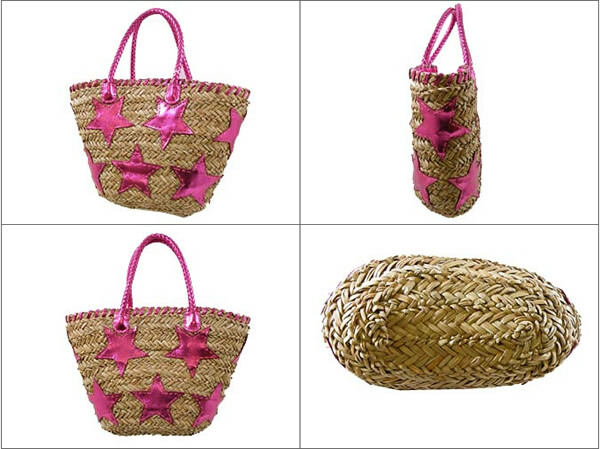 Some of the straw bags featured in this article are from the following brands/shops: Jupiter & Juno, Bragla, SBY, Cherry Pink, Mark Style, Etokeiya, Ingni, Cache Cache, Le Soleil, and Curvy’s. 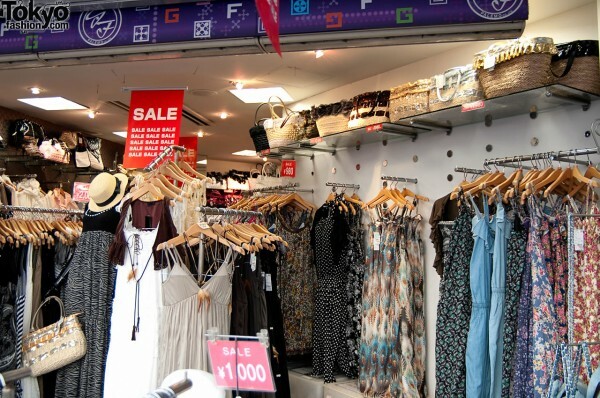 The photos of shops are all stores located in either Shibuya or Harajuku, with a large number of them being shops on Takeshita Dori in Harajuku. 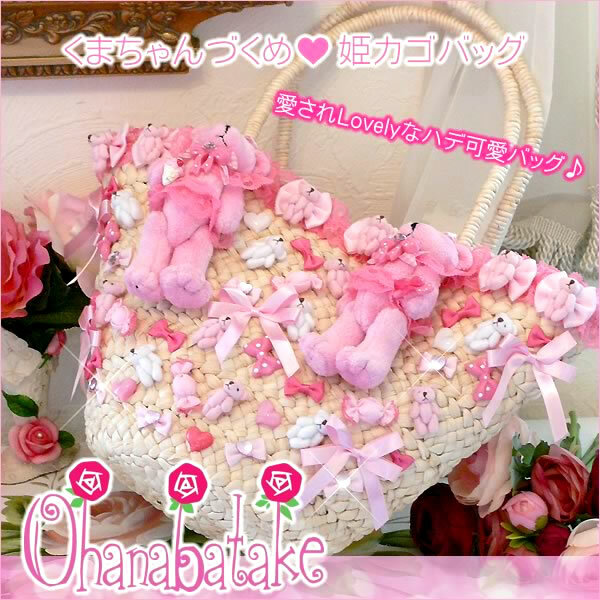 Omg those bags are so cute!! :) I want one!!! I love the ones with bows on them! 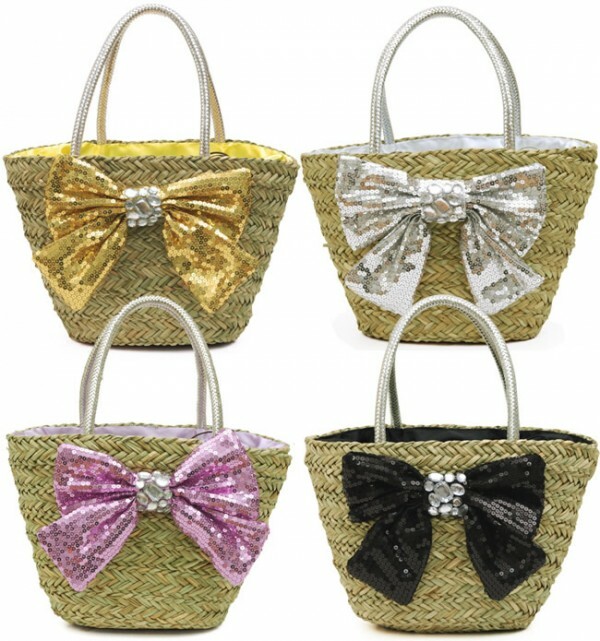 Those bags are the too cute ;) Loooove them!! god i cannot wait until i go to japan! i am loosing weight for this so i can go shopping with no problems, saving money for the enormous ammounts of crap i am going to buy…i think i might have to check like 10 bags on my way back. 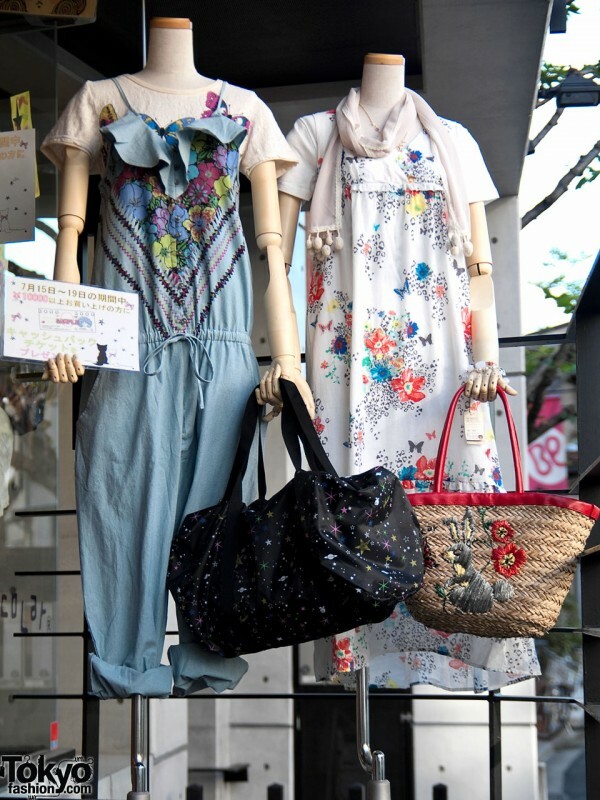 Aww.. those bags are so cute and pretty! I love it so much!! adorei, aqui no Brasil, nem todo mundo pode atrovar, porém por mim, usaria. 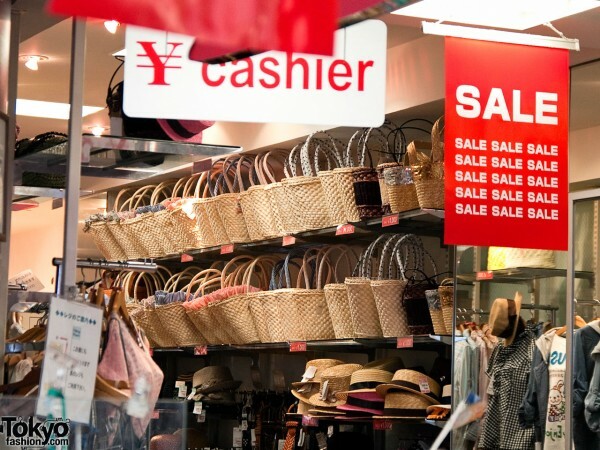 I loved it here in Brazil, not everyone can atrovar, but for me, would use. way too much!!! 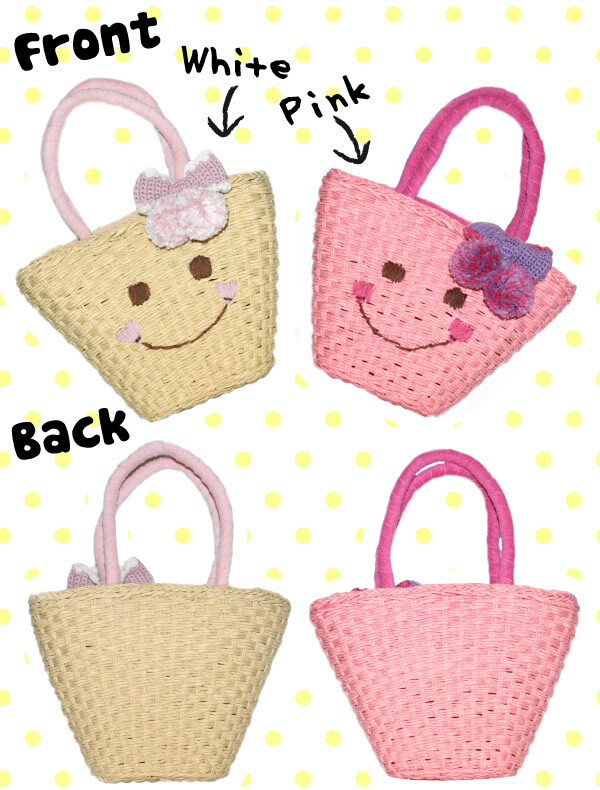 I can’t decide wich one I would want to buy but I loooove straw handbags ;_; Want to have a cute one too!! Wow! 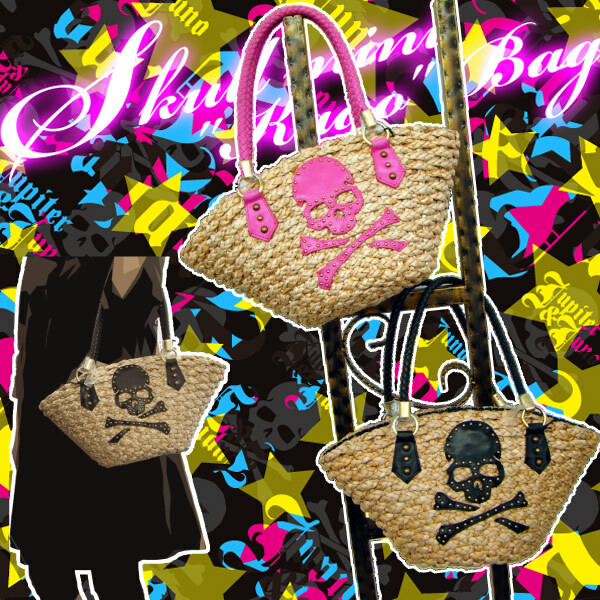 all of those straw bag are terribly adorable! ><!! In Brazil we , usually use! 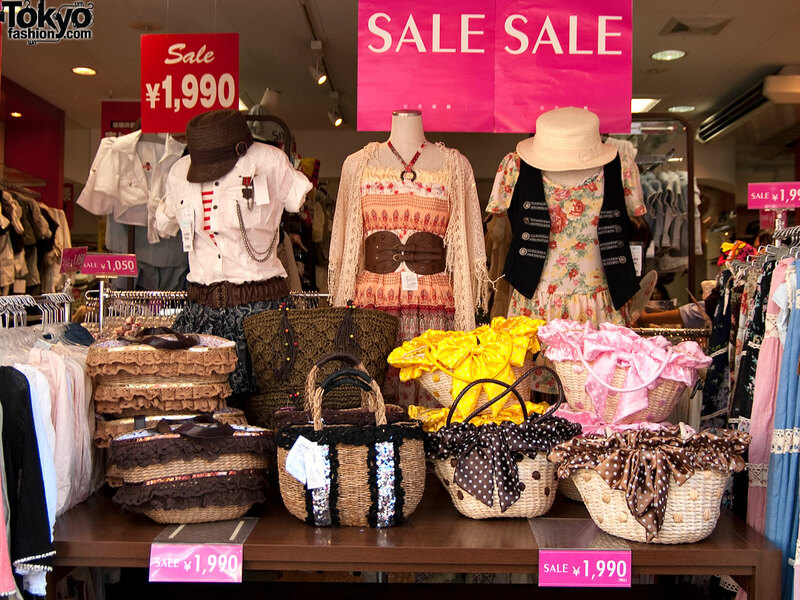 I love Japan too!!! Amazing!! 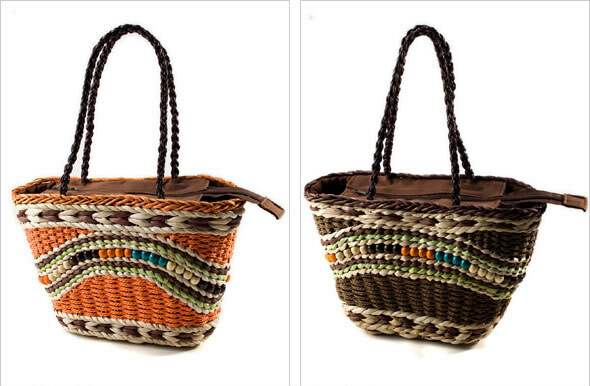 I love the bags in natural materials, in Brazil, is the best….very hot! I am brazilian…. 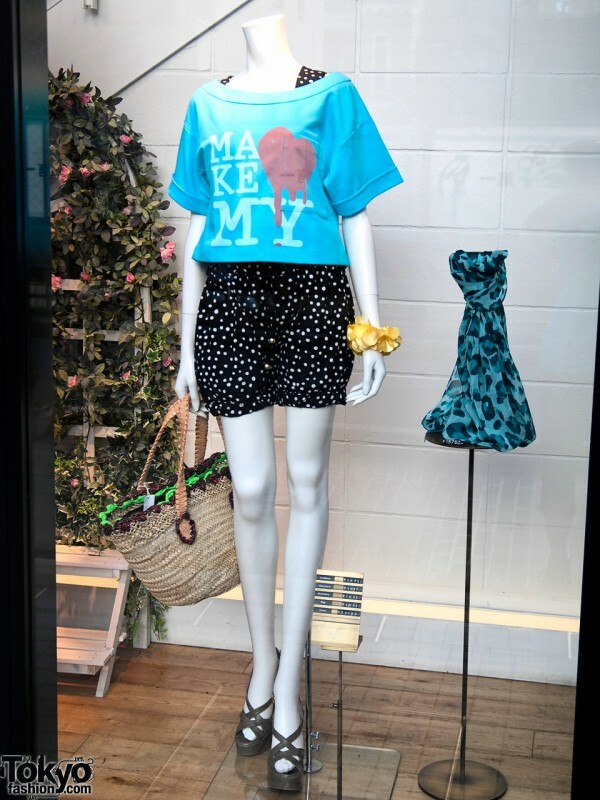 I love this trend. So much that I have 2 bag myself. and want more! Oh My God! 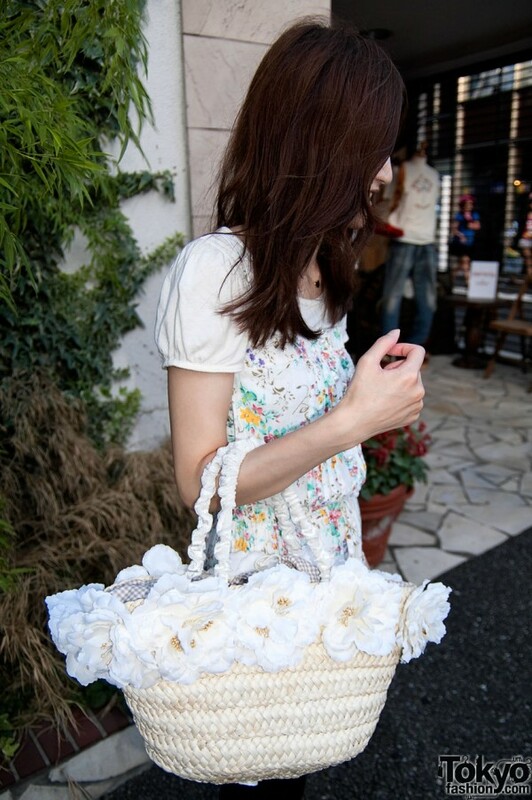 I’ve got the exact same straw hand bag with the First photo!!! 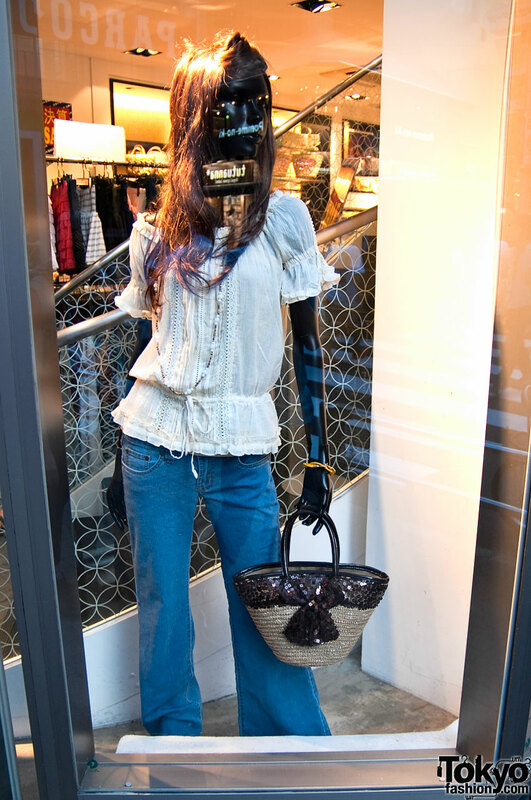 Bellissima and very cuteeeeeeeee..i miss you tokyo……. 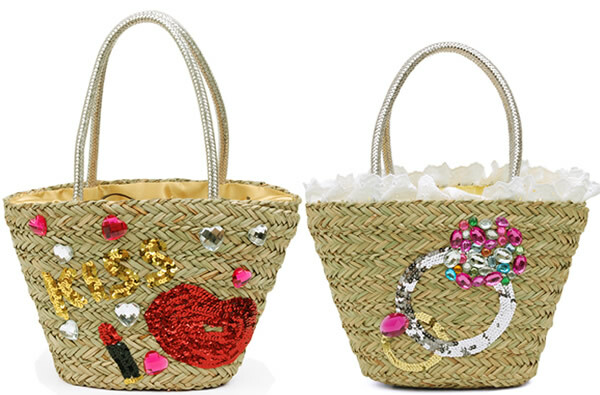 where can i get straw bag in Malaysia?!?!?!?!? !